After it unveiled a new business-class virtual reality headset, HTC also revealed first details on its new consumer model. 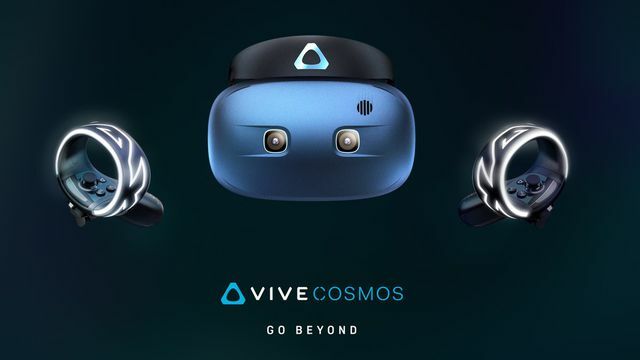 Called the HTC Vive Cosmos, the stand-alone device was announced at the Consumer Electronics Show in Las Vegas, Nevada, and appears to be HTC’s answer to the Oculus Quest stand-alone headset. Perhaps the biggest impediment to consumer adoption of VR headsets is the stuff you need to attach to them, namely a beefy gaming PC or a PlayStation 4. That’s what makes stand-alone VR headsets so compelling. The Cosmos has potential; it’s a hybrid device, one that can work with either your PC or your mobile phone. Better still, it uses so-called “inside out tracking” technology. That means consumers won’t need to mount and calibrate external sensors in their homes to make it work. The fit and finish of the thing, which includes the hat-style headband and a flip up visor, are just the icing on the cake. No release window or pricing was mentioned during the presentation, but developer HTC said that developer kits will be shipped this year. The international press is expected to have some hands-on time with an early prototype, or at least a mock up of a prototype, during CES. Expect more information as the week goes on.